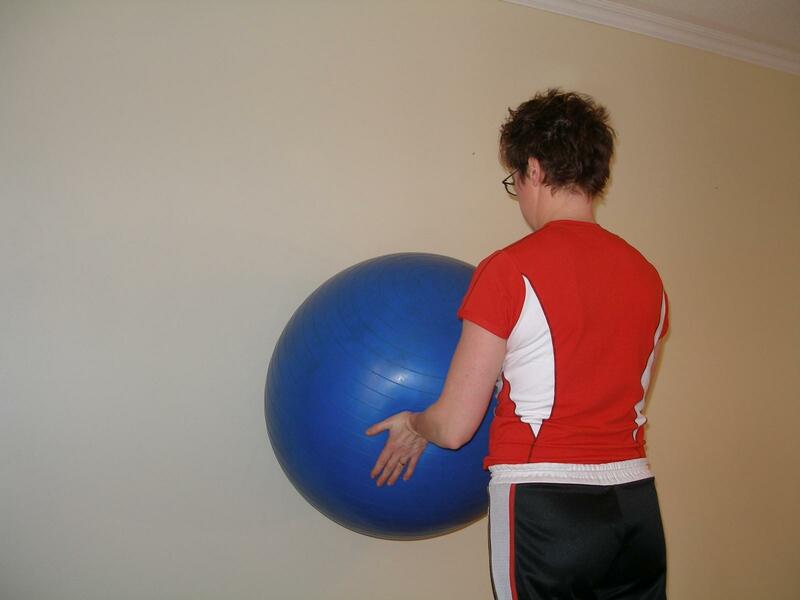 Hold your stability ball against the wall at waist height as illustrated below. Put hands on the ball palms up or palms facing one another. Do not allow your shoulder blades to wing out or shrug forward. Hold your this leaning position and activate transversus abdominus to prevent your pelvis from sagging. Try facilitating scapular stability in different positions with the following exercises: Leaning Straight, Leaning Up.